This pooch doesn’t have to be fed he is past that stage already. 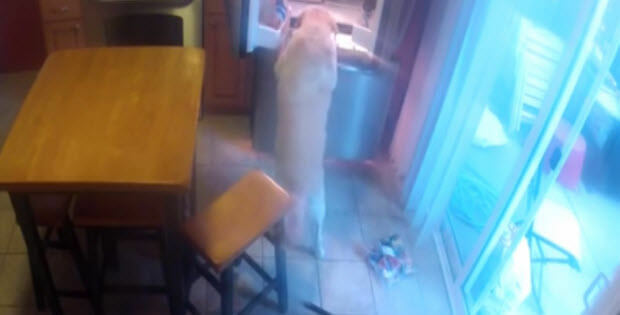 When most dogs… have to wait to be fed, this four-legged genius can already take care of himself. He knows what is in the fridge that he likes to eat, so he runs over to the fridge, every time he is hungry. This is adorable to watch and painful when you realize how much of a mess he is making in the process. But nevertheless, this video is beyond adorable. 10 Yummy Treats You Can Give To Your Dog This Summer!